Your free night cellular minutes don't start at 4 p.m. It's that time of year again when families all across Chicagoland and America are getting ready to send their young adults off to college for the first time. But before you take off for the next four years of your life (or your child's life), how about a few last minute and often easily forgotten tips for those first few nights and weeks in the dorms? First and foremost, let's talk about cell phone minutes. If you accidentally go way over on your cell phone minutes your first month at school, you will not be the first person in history to do so. To prevent this, make sure you know your plan very well and if you have free nighttime minutes, know without a doubt when they begin before dialing anyone. It will be better for all parties involved to avoid the possible gigantic phone bill. Onto the shopping. We know you've been planning for months, but it is possible to forget some items. 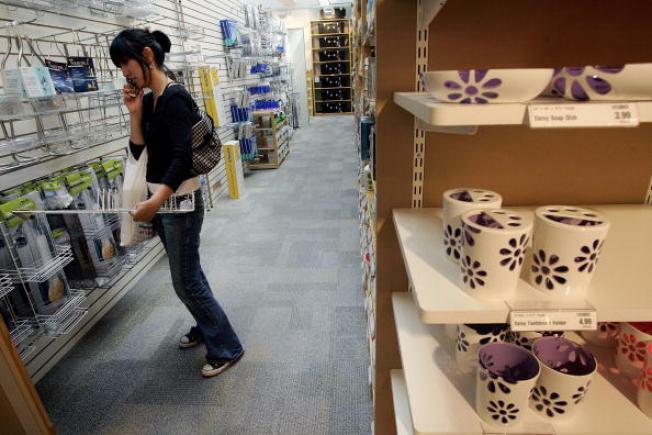 Bed Bath and Beyond spokesperson Catherine Gentile said plenty of pre-college shopping happens at their locations but omissions can happen for a few different reasons. She told NBCChicago.com, "Some of the things that we notice that people tend to forget about are things that might not be as exciting as new bedding...like hangers...or an extension cord, or something with multiple outlets so you can plug in all of your electronics." Gentile suggested a few other top forgotten items are towels and the always-handy duct tape. Then we have the move itself and Janice Johnson knows a lot when it comes to prepping for moving day, as she rightfully should. Johnson is the Executive Director and Overseer of University Center Chicago, a Windy City residence hall that houses seventeen hundred students from four universities and ranks as the largest multi-institutional residence hall in the nation. For one, Johnson actually tells people to not bring everything on day one. "Maybe in September or August don't bring your winter coat and all of your winter gear if you can have it sent later," she suggested as a way to lighten the move's load. Johnson also suggests that students look to see if their university has a Web site dedicated to moving in. That site, like the UCC's, can help students out with a variety of topics, like if they're hauling giant items they don't need or can't have in the dorms. Another simple tip, according to Johnson, is that a quick phone call to your future roommate at some point before the move would definitely go a long way to help ease one of the many possible tensions surrounding move-in day. Johnson also added students should make sure they're experiencing whatever they can even before classes begin. "There’s all kinds of activities we plan in the residence halls...so take advantage of that,” Johnson said. “It’s a fun vibrant time so even if you don’t know a lot of people, just by putting yourself out there you're going to meet a lot of people." Speaking of your social life in college, it's important to make friends but have you ever seen Old School? Yeah, that's how some of college life goes at events not sponsored by your school. Even if it looks like a tempting lifestyle, it's wise to not jump into that too quickly. You really don't want to meet your university dean before your classes start. Along with staying out of trouble comes being safe. Just because you're in a dorm or on a college campus does not mean all of your belongings are safe. Yes, be friendly with your neighbors but don't forget to lock up your valuables and your dorm room. If you're so inclined, places like Bed Bath and Beyond sell a variety of laptop locks that tether your personal computer down to immovable objects (like professors who won't grant you an extension on a paper! Ha! Don't get it? Well, it's not that funny but you'll get the joke after a few classes). This is not an exhaustive list, but it should help you along. If you've got any other tips, feel free to list them as comments in the article.